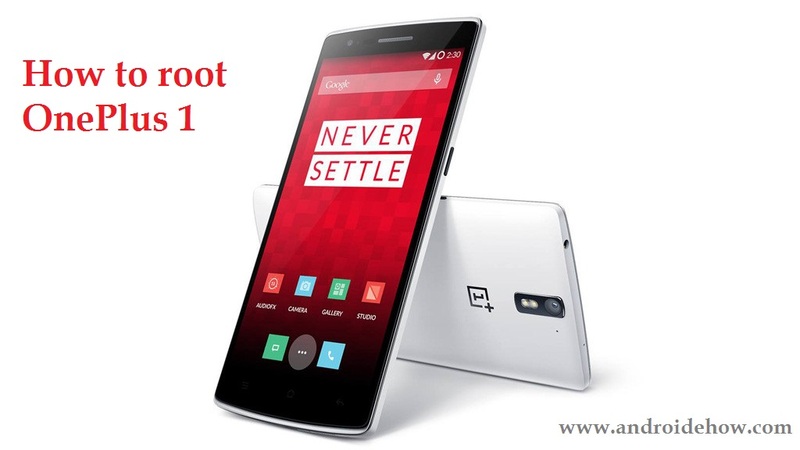 The OnePlus 1 runs under CyanogenMod 11S , a non-rooted version of the famous custom ROM. The reason is that to be able to benefit from the GMS (Googe Mobile Service) certification, you have to secure the root rights. Backup your data! The following procedure may result in the deletion of all user data. In addition, root carries risks. If you do not follow the procedure correctly, you can make your smartphone unusable. Neither AndroideHow nor I will be held liable for anything. For info, OnePlus indicates that the root does not cancel the guarantee of the One, but that if we destroy components, overclocking for example, then it no longer holds. Open the folder where ADB and Fastboot are located on your computer. In a blank area, right-click and choose Open Command Prompt. If the command prompt returns a sequence of characters matching the serial number of your OnePlus. Otherwise, your smartphone is not correctly recognized => drivers. You will have to confirm, do so. To enjoy the root, we will flash a custom recovery and then the SuperSU application. Download the TWRP image file and copy it always to the folder containing ADB and Fastboot. Download the application’s .zip: SuperSUv1.99 and copy it to your OnePlus One. Restart in recovery mode: low volume + power. Once done, go to Install , and then go to the SuperSU file you downloaded earlier. Restart and finally go to the SuperSu application and uncheck the Respect CM’s root policy box.